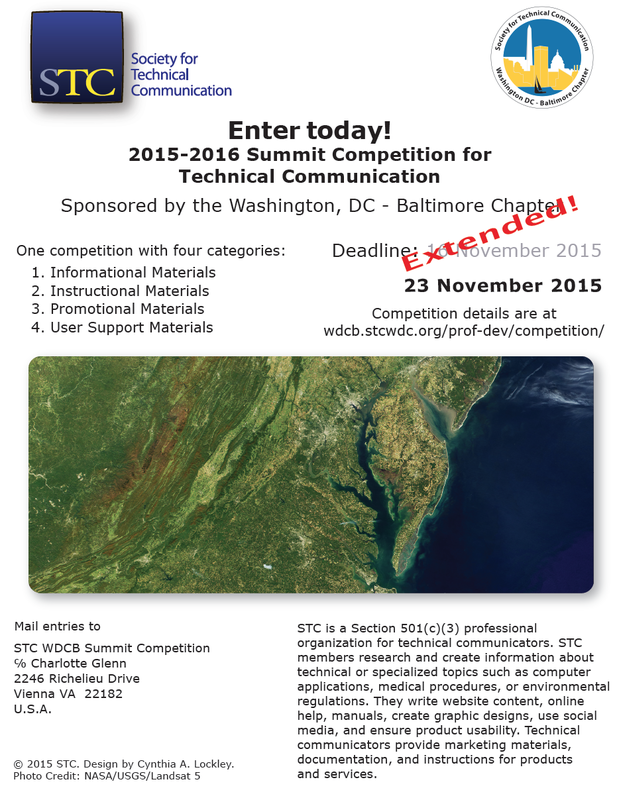 The entry deadline for the 2015-2016 WDCB Technical Communication Competition is Monday, 23 November 2015. We’ve received several questions about how late an entry may be. Because some of you are still in the process of preparing your entries, we are extending our competition deadline by one week. The new deadline is 23 November 2015. We want to give you every opportunity to earn the recognition you deserve. We look forward to including you in this year’s competition. We hope the extension will help if you haven’t yet completed your entries. Judge Applications deadline is 2 December 2015.